In the Seeing Nature exhibition, the Phillips invites visitors to contribute new, imagined conservation discoveries at our interpretive station, “Seeing Beyond the Frame.” For the month of March, exhibition-goers responded to Birch Forest, painted by Gustav Klimt in 1903. Perhaps due to the poetic quality of Klimt’s work—the way shapes seem to shift from observed forms to an abstracted tapestry of patterns—or perhaps inspired by the recent poetry reading with Mark Doty and Aimee Nezhukumatathil, poetry abounds in this month’s responses. See more or share your own ideas with #SeeingNature. 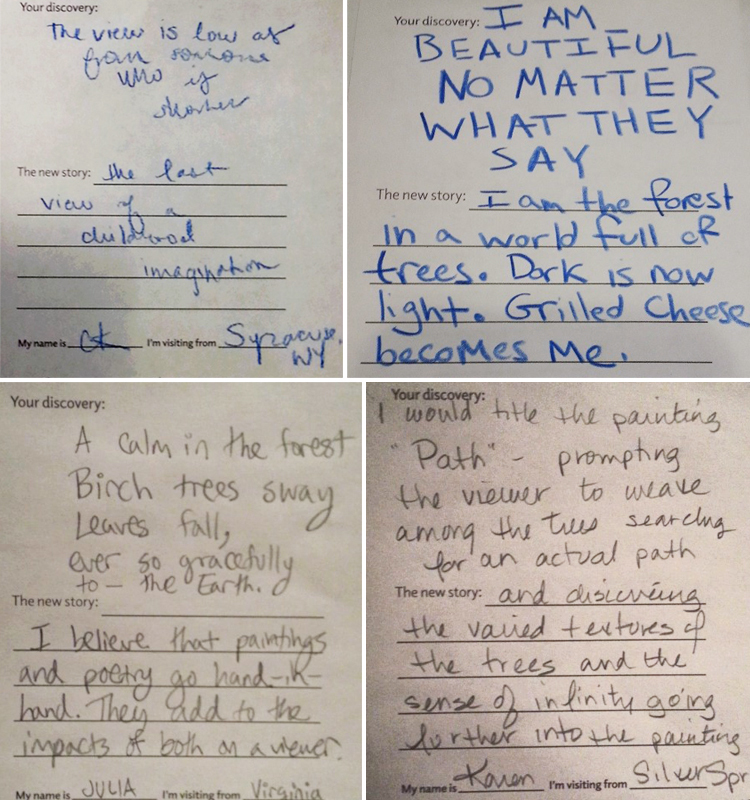 Inspired by the poetry of images in the exhibition, visitors have submitted a wide variety of poetic responses to Klimt’s Birch Forest. 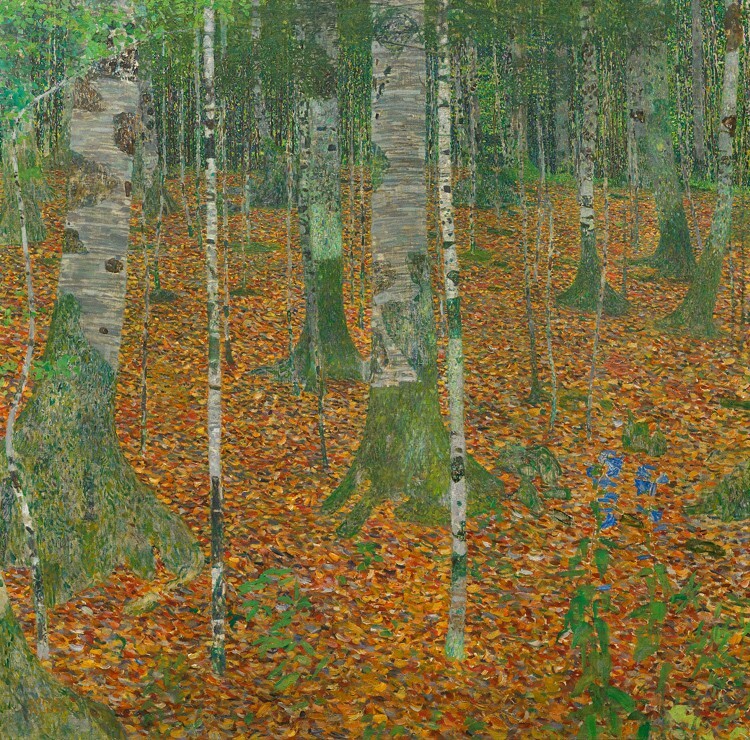 On view in Seeing Nature, Birch Forest is one of many scenes Gustav Klimt painted at the Attersee, a lake near Salzburg where he often spent his summers beginning in 1900. Klimt frequently used a telescope or opera glasses when composing his landscapes; these devices allowed him to see in great detail while at the same time collapsing the middle distance. The flatness of the resulting close-up perspective gives the surface of the canvas the appearance of a densely knotted tapestry. As in many of the artist’s other landscapes, a hushed reverence pervades the painting, infusing the simple forest with a sense of the sacred.